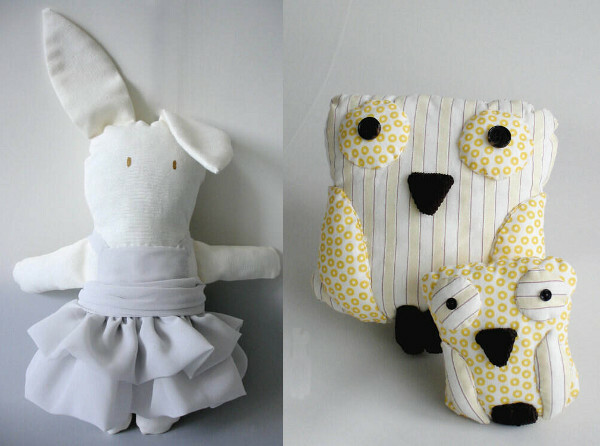 Soft toys from Etsy – our top picks! 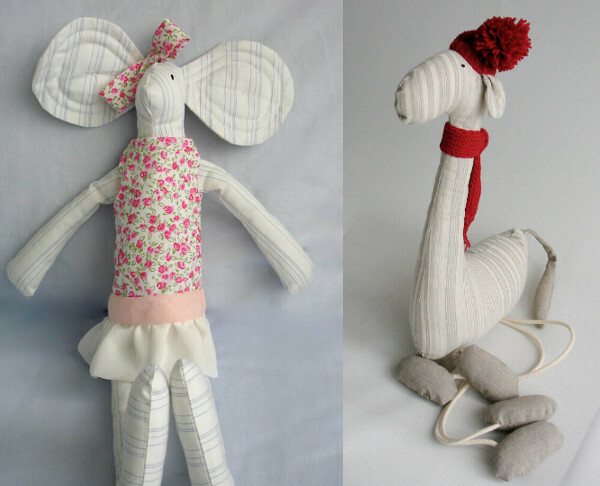 Etsy is an absolute mecca for the most inventive, creative and downright adorable soft toys on the planet and we have a whole bunch of faves to show you. One of my sons has always been crazy for a good softie… a good soft toy, that is. He still cuddles them at age six and his affections for them show no signs of abating. I’m hoping my baby boy will be the same, having just assembled the most adorable collection in his new nursery for him. 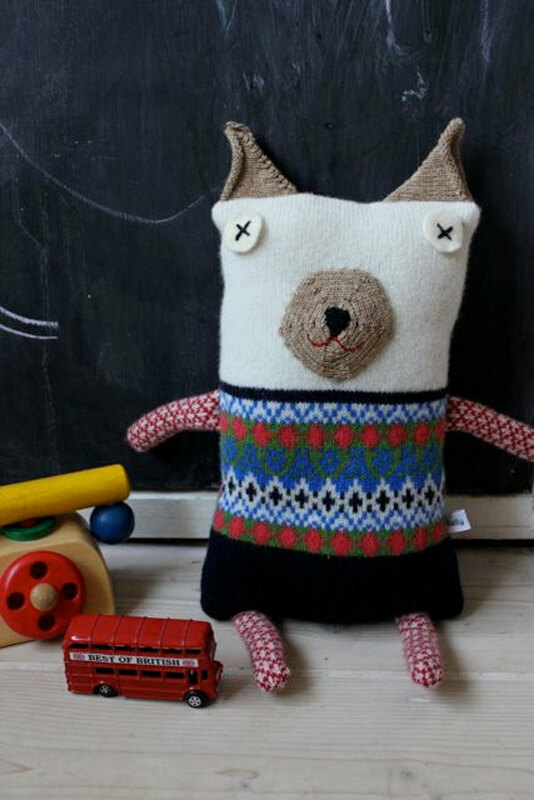 We’ve put together our top picks in soft toys to point you instantly in the right direction when purchasing from Etsy. I mean, who on earth could resist those knitted teddies above from Stars By The Door Stitching? Above and below we have the super-sweet toys from Hipolita. 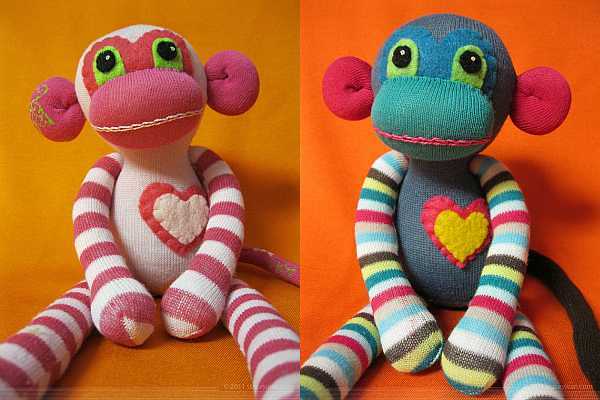 We love a good sock monkey as much as the next person and these ones from Zparkleys are sublime. 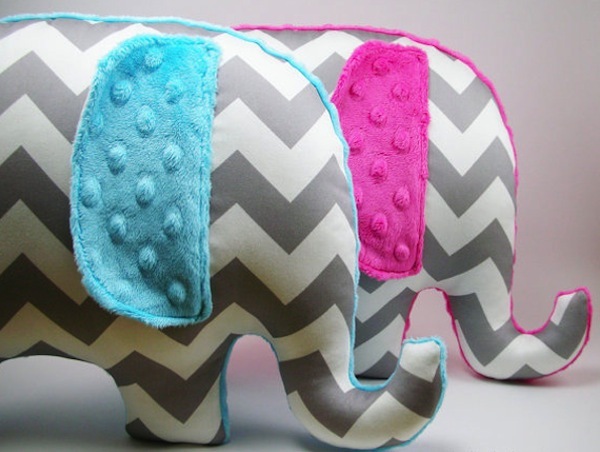 These elephants from Baker Baby are pretty darn snazzy with their chevron stripes and soft, plush ears. 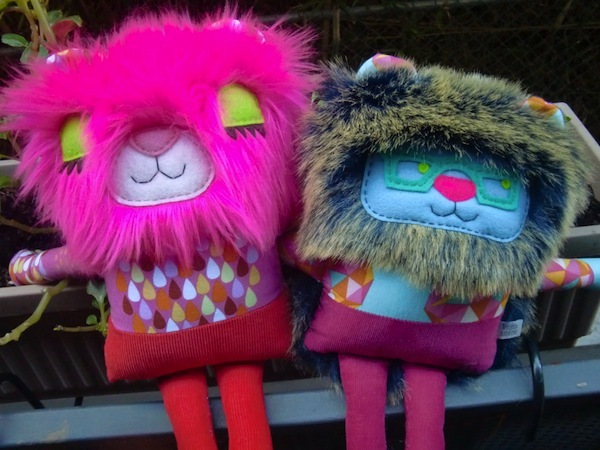 The softies from Cat Rabbit are downright astonishing in their originality. 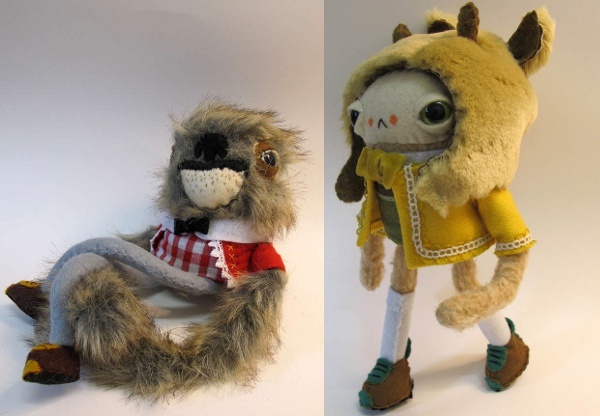 These incredible creatures are from Jenny Smith. 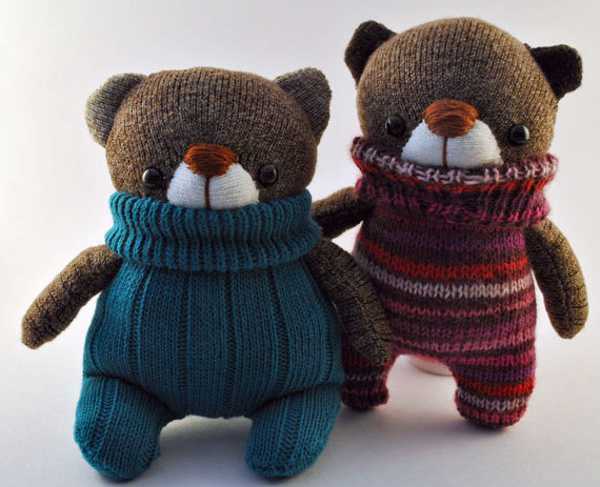 Sally Nencini makes the most adorable machine-knitted toys. 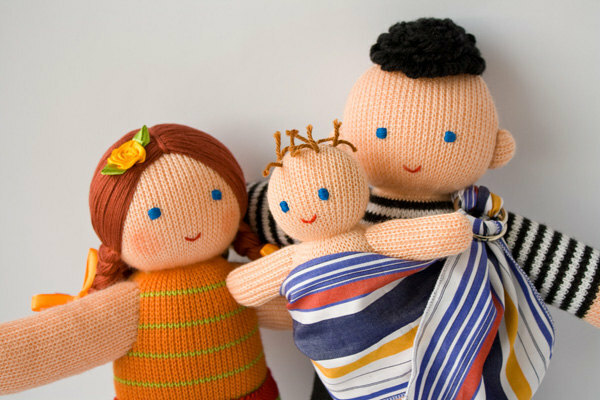 And who can forget the baby-wearing daddy from Freja Toys!